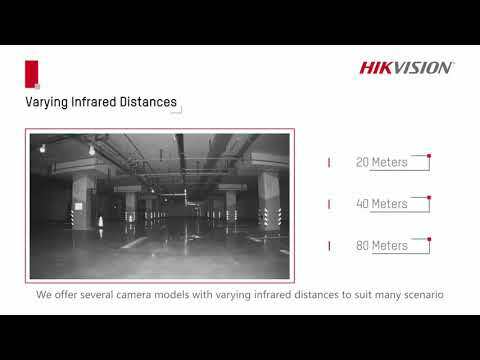 Hikvision DS-2CE16H0T-IT3E camera is a HD Analogue (TVI) Camera up to 5MP Resolution in a Bullet Camera design with Smart EXIR up to 40m. 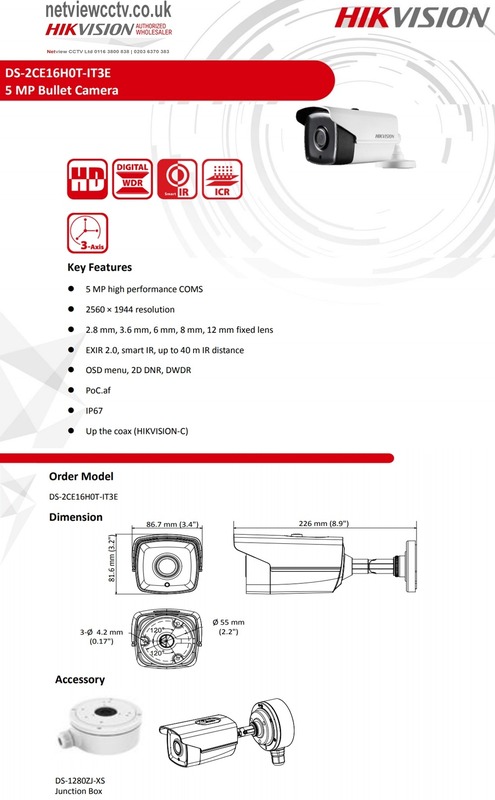 The camera has a single BNC output and must be connected to a Hikvision TURBO HD DVR with up to 5MP Resolution Capability. The ability to power the camera via a coaxial cable according to the innovative PoC standard allows to reduce the need for additional wiring to the unit.